CruiseMates’s Paul Motter seems to be the first to have pointed out the obvious in an article in “Fox Business” last week – that the passenger space ratio on the new ships on order for NCL, Princess and Royal Caribbean is going to be less than in existing ships. 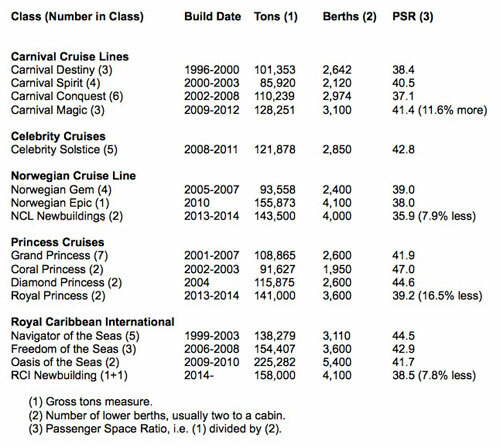 In the case of NCL and Royal Caribbean’s ships, on order at Meyer Werft, they will have almost 8% less space per passenger, and in the case of the Princess ships, being built at Fincantieri, a full 16.5% less than the Diamond Princess. Elsewhere, we look at the major cruise line battle developing Down Under and some comments on the cost of cruise lines doing business in Greece. 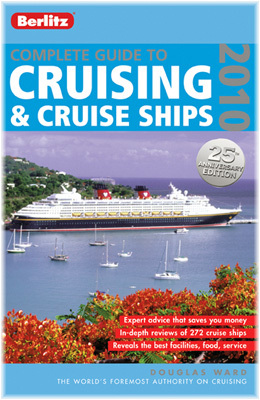 In an article in “Fox Business” last Friday entitled “Next Generation Cruise Ships Might Not Be the Best,” Paul Motter pointed out a rather interesting thing about the new cruise ships now under construction for the major lines, and something that no one else seems to have noticed as yet – but they will have less space than their immediate predecessors. Just as cruise lines have been building bigger and bigger so that economies of scale could allow them to keep cruise prices down and attract a wider audience, so now they have decided to squeeze a few more passengers aboard their newest ships. Part of this has no doubt been caused by the fact that the lines had significantly to reduce fares to attract custom during the recent recession, making them more reliant on on board revenue, which can now generate another 40-50% additional revenue over the ticket price. Going back a bit, the first use of the term “Passenger Space Ratio” seems to have been by Douglas Ward twenty-five years ago in the first (1986) edition of his “Berlitz Complete Handbook to Cruising.” It is calculated by dividing a cruise ship’s gross tonnage by the number of passengers carried in lower beds, but can also be assessed by counting all beds, including third and fourth berths. It is not appreciated by many that a ship’s gross tonnage is actually a measure of volume – at one time a gross ton was equivalent to 100 cubic feet, although that is no longer the case. And while gross tonnage is a measure of a ship’s total internal capacity, some have said that using a ship’s net tonnage, the measure of its revenue-earning spaces, would be more accurate. As long as cruise lines (the notable exception being NCL) have been building ships with PSR’s in excess of 40, there has been very good space for customers even if passenger numbers have been growing. But now, Princess and Royal Caribbean are planning to go back from the 40’s into the 30’s to join NCL in the “less space” brigade. Princess passengers who are used to their two Panamaxes, the Coral Princess and Island Princess and the Mitsubishi-built Diamond Princess and Sapphire Princess are particularly likely to notice less space on the new Royal Princess when she arrives. Carnival, on the other hand, seems to be going in the opposite direction with its latest trio and staying above 40. In earlier years, a 22,000-ton ship carrying 1,000 passengers would have had a PSR of only 22, so we have got used to living in relatively prosperous times. With Carnival Corp & PLC set to have seven cruise ships based year-round in Australasia from October 2012 – four with P&O Cruises Australia, two with Princess Cruises Australia and finally the 2,120-berth Carnival Spirit with Carnival Cruise Lines’ new Australian-based operation, Royal Caribbean has started pulling out the stops to catch up. Initially, Royal Caribbean International announced that the 2,110-berth Radiance of the Seas would be joining the 2,000-berth Rhapsody of the Seas Down Under in 2011/12. Then we had the news that Celebrity Cruises would be returning to Australia in 2011/12, after an absence of three years, with the 1,750-berth Celebrity Century. But now comes even bigger news. From the Celebrity Century in 2011//12, Celebrity will be replacing her with the much larger 2,850-berth Celebrity Solstice for 2012/13. This is almost a two-thirds increase. Celebrity Solstice will work Down Under with the 1,950-berth Celebrity Millennium to form a two-ship Celebrity operation for the Austral summer Down Under. 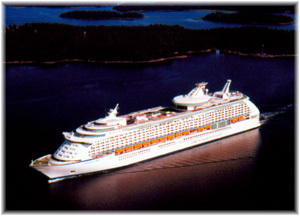 And as if that were not enough, Royal Caribbean has come back with even bigger news with an announcement that the 3,110-berth Voyager of the Seas will be based in Sydney for a five-month season in 2012/13, making her Australia and New Zealand’s first mega liner. This deployment will follow Voyager of the Seas’ first Asian program, which will see her based in Shanghai for a June to October season next year. While Carnival Corp & PLC’s Holland America Line also maintains an increasing presence in Australia, the only group seemingly left out is NCL, which at one time operated the brief-lived Norwegian Capricorn Line out of Sydney. NCL has also experimented with cruises from Australia in the past with the 2,240-berth Norwegian Star but has not returned. 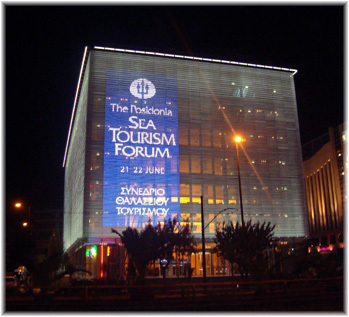 Speaking last week at the Posidonia Sea Tourism Forum in Athens, Pierfrancesco Vago, Vice Chairman of the European Cruise Council and ceo of MSC Cruises, pointed out that Greece benefited last year from 4.5 million cruise passengers and €580 million in direct spending by cruise passengers, employees and cruise lines. In fact, since the nu,ber of cruise ship orders has dropped at Finnish shipyards, Greece had replaced Finland in the top six European beneficiaries of the cruise industry. Also, the port of Piraeus is now the fifth European cruise port in terms of revenue passengers, with 1.21 million cruise ship passengers and 700 calls. 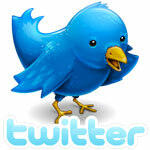 Santorini, Mykonos and Corfu received 760,000, 650,000 and 580,000 passengers respectively. Vago then went on to outline some of the difficulties for cruise lines of doing business in Greece: “The proposed fee per passenger for 2012 (€3.95), for instance, corresponds to an increase of more than 300%. This is unreasonable and even less justifiable. Along the same lines, the Port of Piraeus recently announced a tariff increase for 2011/2012 that is not only excessive, but also communicated at such short notice that cruise companies were not able to take it into account in their plans. He then asked Greece not to discourage the cruise industry, especially with the present situation in North Africa offering the possibility of garnering more business in the next year or so, and urged an increasing dialogue between the cruise industry and the Greek government. Meanwhile, three years ago, on June 9, 2008 Mark Tré wrote a column entitled “A Return to Greek-flag Cruise Ships?” but despite liberalizing its coasting laws this now appears to be an opportunity lost, as quite the opposite has happened. At the time, Louis Cruises was the largest operator of Greek-flag cruise ships, with half a dozen in its fleet. 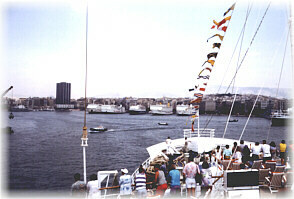 Four, the Aegean Pearl, Aquamarine, Orient Queen and Louis Cristal, operated from Piraeus, while the Calypso and the Emerald were on charter to Thomson Cruises. The rest of the Louis fleet is registered in Malta. The 966-berth Louis Cristal is still registered in Greece today, as is the 486-berth Calypso, but the Aegean Pearl and Aquamarine have been sold and Orient Queen transferred to the Maltese flag because of the high cost of running her under Greek flag. Meanwhile, the Thomson charters having expired, Calypso has replaced the Aegean Pearl from Piraeus while the Emerald is now laid up. In the end, only two of Louis Cruises’ ships remain under the Greek flag, two-thirds fewer than three years ago. 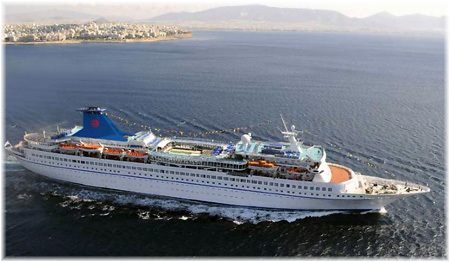 The last two major Greek-owned cruise lines, Festival Cruises and Royal Olympic Cruises, disappeared in 2004 so Louis Cruises with its two Greek-flag ships remains as their main successor. Even a ship such as the 535-berth Ocean Majesty, operating for competitor Majestic International Cruises of Athens, is registered in Portugal. By the way, for purposes of comparison with the newer ships we mentioned above, it is worth noting that the 10,417-ton Ocean Majesty has a PSR of 19.5. 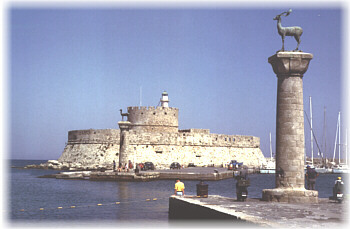 In an effort to promote cruise tourism throughout Greece, Greek Deputy Minister of Culture and Tourism George Nikitiadis accompanied Royal Caribbean Vice PresidentJohn Tercek on visits to ports and port facilities in Thessalonika, Kos and Rhodes. But at least the Greeks and Royal Caribbean are talking, and it is worth remembering that Royal Caribbean, through its acquisition of Celebrity in 1997, has inherited quite a number of Greek masters and officers.